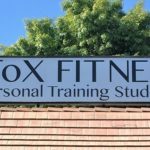 Tapout Fitness is located in a shopping plaza between Topanga Canyon Blvd & Canoga Avenue, just a few doors down from Pure Barre. There’s free parking in the garage or you can do street parking. 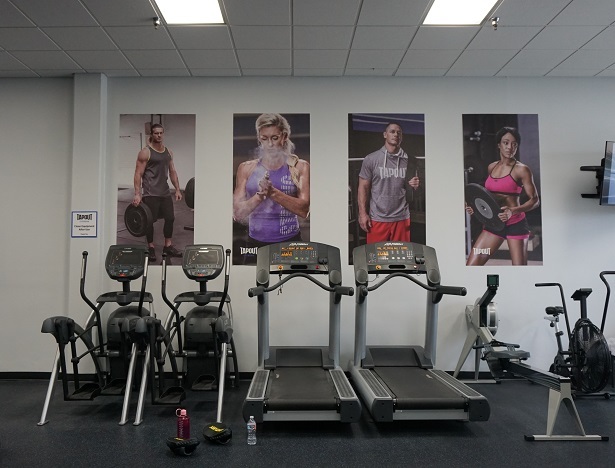 The studio is spacious & offers complimentary lockers to store your gear. So how are the classes? They were awesome! I tried out three different types & I worked up a sweat in each one of ‘em. 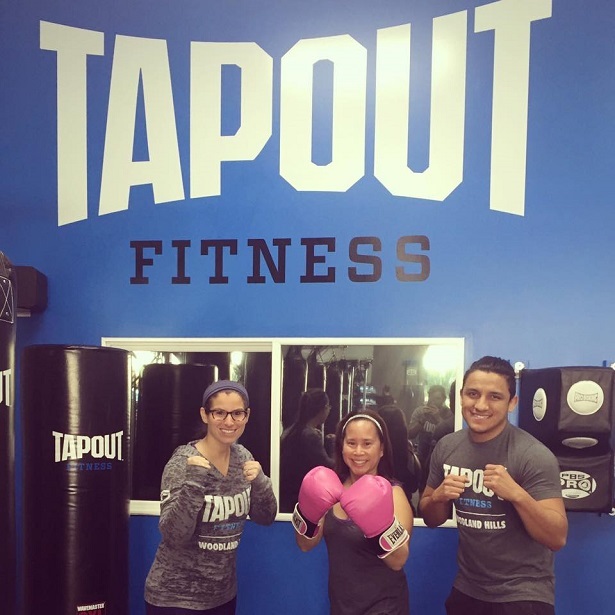 This is a good class to take for first-timers at Tapout Fitness. We started with a basic warm-up & then moved on to the heavy bags for different boxing drills. Daniel, the class instructor, really covered all of the basics & made sure everyone was using proper technique. The class ended with stretching & also a post-workout selfie with Daniel & Elissa (owner of Tapout Fitness). The video above is just a snippet of the exercises we went through. We did a ton of kickboxing combo drills, where we would punch, jab & then kick the heavy bag. All in all, it was a tough but very satisfying workout. As you can see from the picture below, everyone in the class was happy it was over & ready to ring in the New Year! Although I joked with one of the ladies that I would probably have to take a nap & then watch the crystal ball drop. 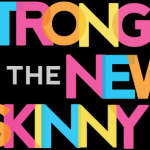 You would think a 30-minute class wouldn’t be really challenging given the time constraints, but oh no – this is definitely a full-body workout. A lot of these classes are offered at 12 noon, which is perfect for those looking to fit a workout in during their lunch hour. Jason was my instructor for this class & he utilized TRX straps & the Terra-Core (which reminded me of a Bosu Ball in the way that we used it but it’s built slightly different). 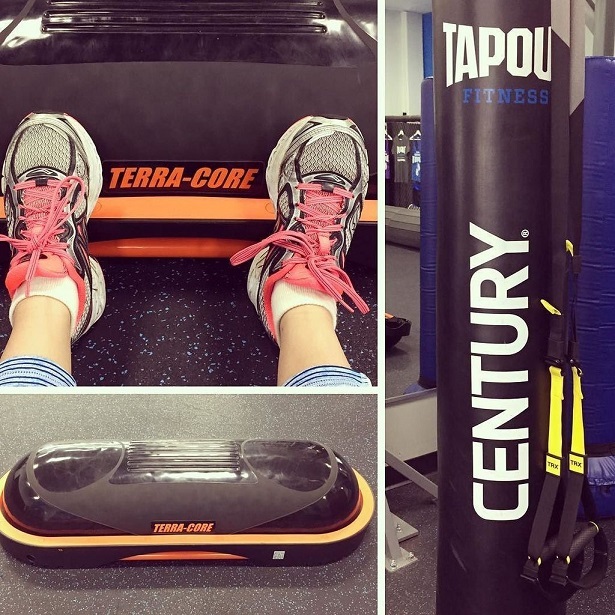 We used the Terra-Core to warm-up & then the TRX to workout our arms & core. 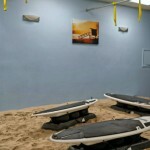 Then we went back to the Terra-Core for burpees, mountain climbers, sit-ups & a whole bunch of other things. The 30 minutes goes by quick but at the end of it, I felt like I did so much in a short period of time. 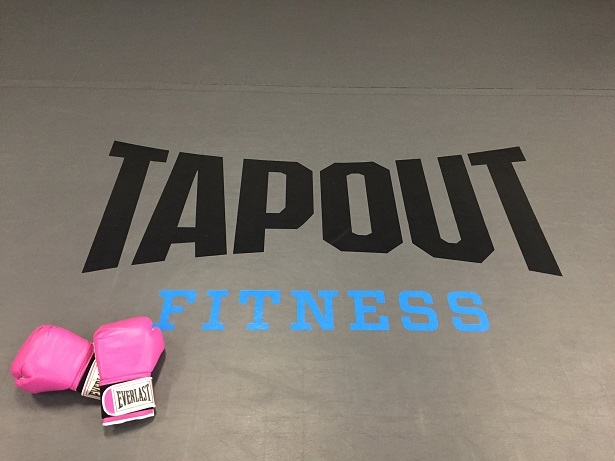 For those who are looking to kick their workout up a notch, you should definitely try out Tapout Fitness. 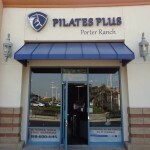 The first class is free & they do a great job of welcoming new people to their gym. 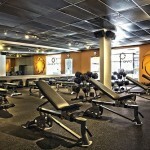 I really enjoy this boutique style studio as opposed to a “big box” gym where you feel kind of lost. According to Elissa, there are a lot of moms who take classes here & the studio clientele is a nice mix of both men & women. So ladies…make sure to check this place out! 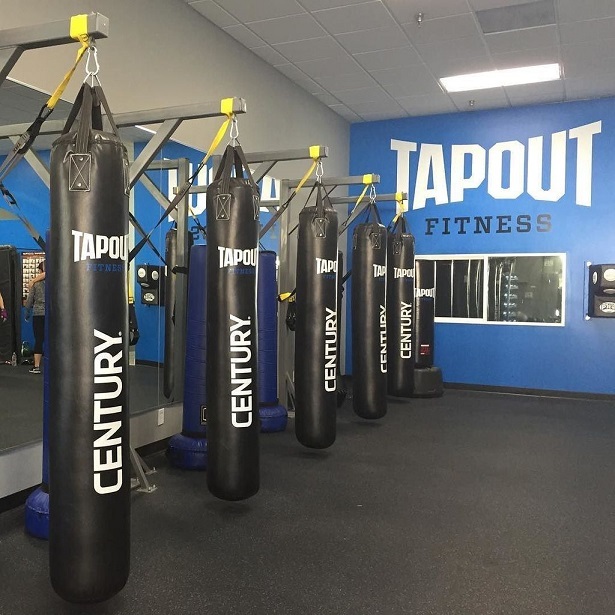 For more information, visit the Tapout Fitness Woodland Hills website here. Don’t forget to check out their Facebook page for the latest updates! Disclosure: No monetary compensation was received for this post. I attended complimentary fitness classes which helped facilitate this review. All images & opinions are 100% my own.